Tópico em 'Temporada em Andamento' criado por Pixel em 14/04/2019, 11:56. 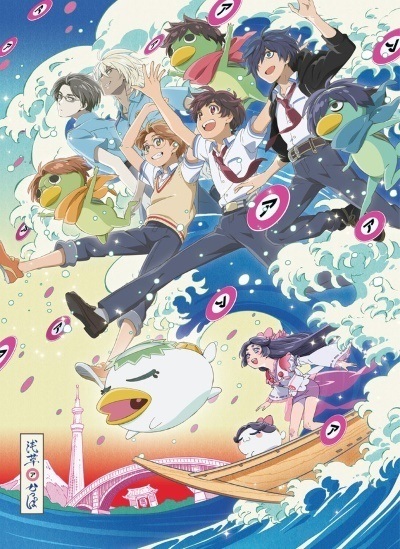 Sinopse MAL: Kazuki Yasaka, an 8th grader living in Asakusa, is turned into a Kappa along with his classmates Toi and Enta by a mysterious creature named Keppi, after they break inadvertently a statue of a Kappa, the guardian god of the city. Best e Kim curtiram este post. Hora atual: 22/04/2019, 19:23 Tradução original por MyBB Brasil. Tradução incrementada por jihox em agosto de 2014. Revisão: jihox e rapier. MyBB, © 2002-2019 MyBB Group.